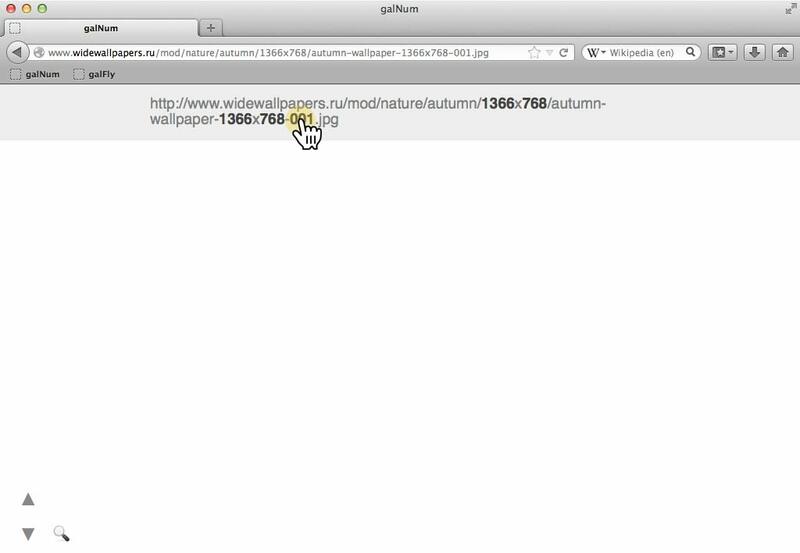 galNum To “install” this bookmarklet, just drag the big link above to your Bookmarks Toolbar. Voilà! There are a lot of images on the internet that follow a numeric progression. 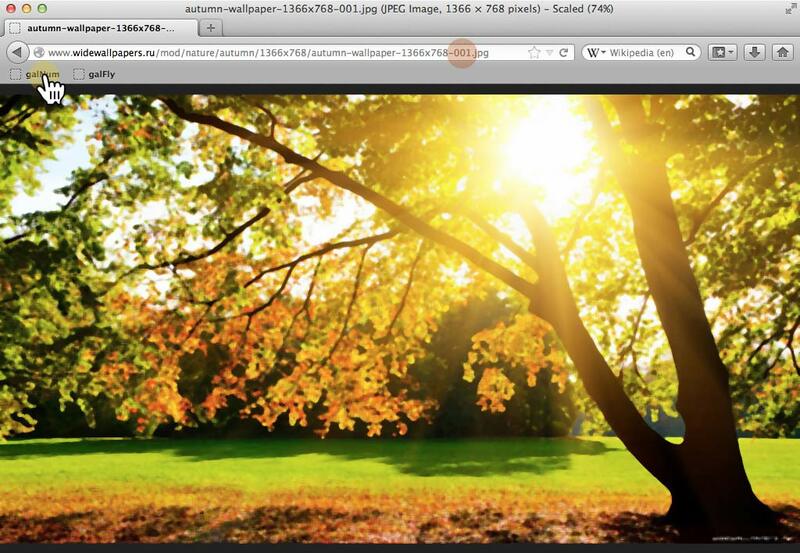 If there's an autumn-wallpaper-001.jpg there probably is an autumn-wallpaper-002.jpg and even more. 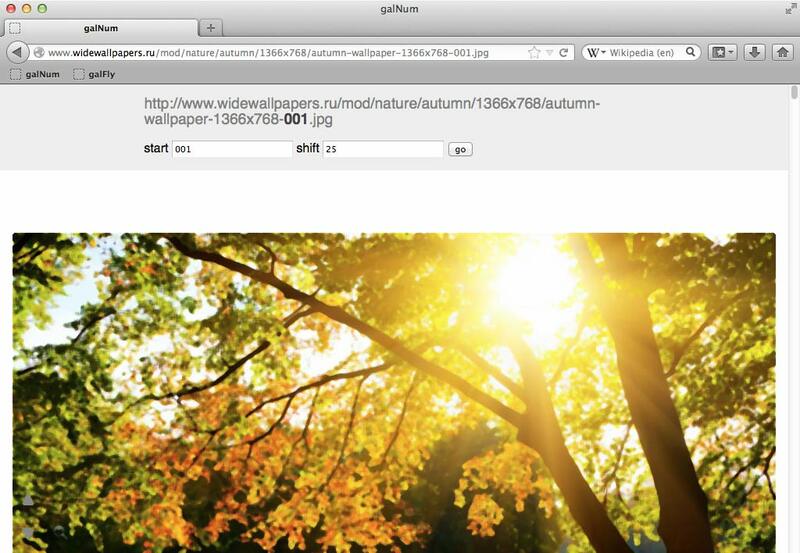 With galNum you can easily create a gallery of images that follow a numeric progression pattern. 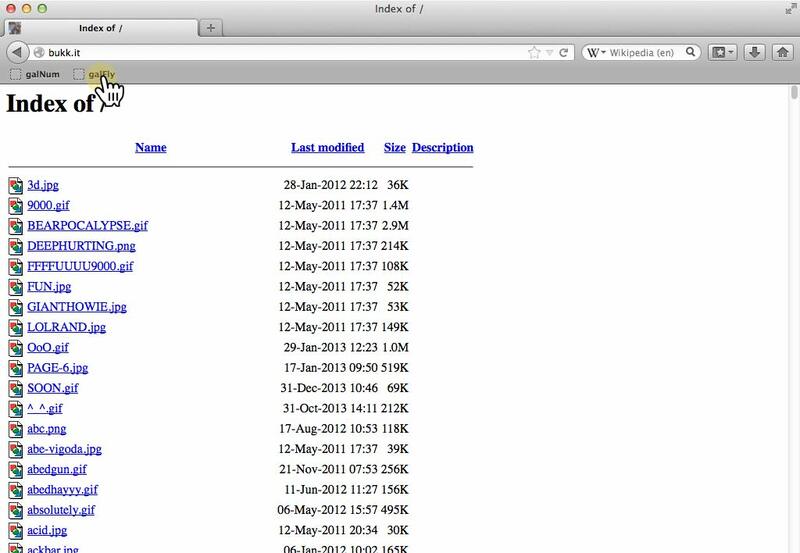 Now you'll be presented with the URL with its numbers highlighted. In this case we think the progression happens at the 001 part, so we click it! The default settings are generally fine, but we can change them if we want. Now click on go! Refer to Common Features to know more about navigation and zooming. 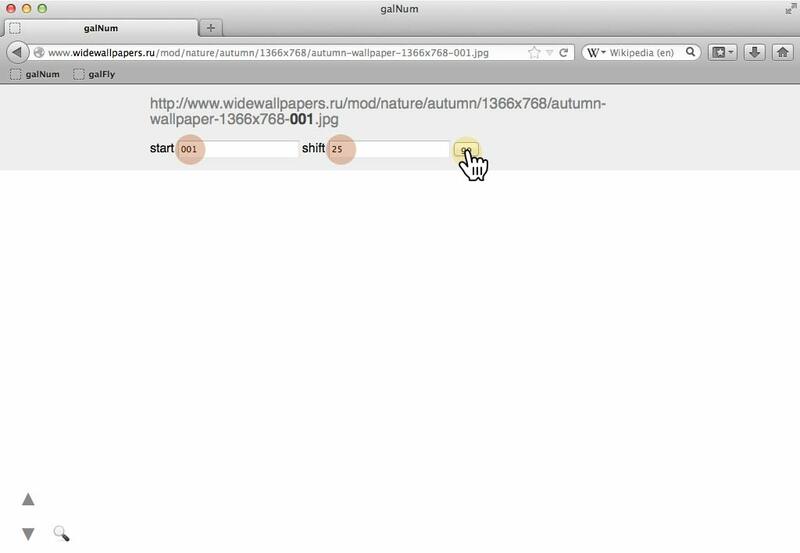 galFly To “install” this bookmarklet, just drag the big link above to your Bookmarks Toolbar. Voilà! In some cases you just find a lot of links that point to images! No number progression to analyze, just the raw links there for us to partake. 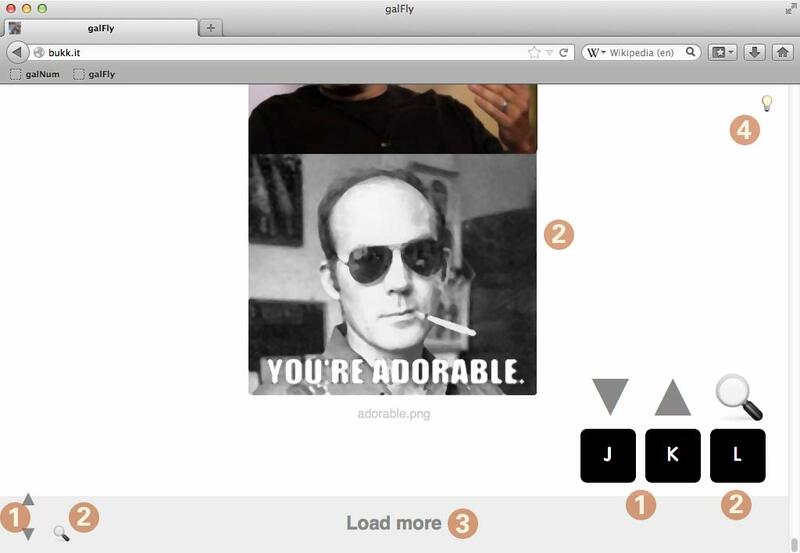 Classically you would have to open these links in new tabs one by one, but with galFly we can just create a gallery right where we are! 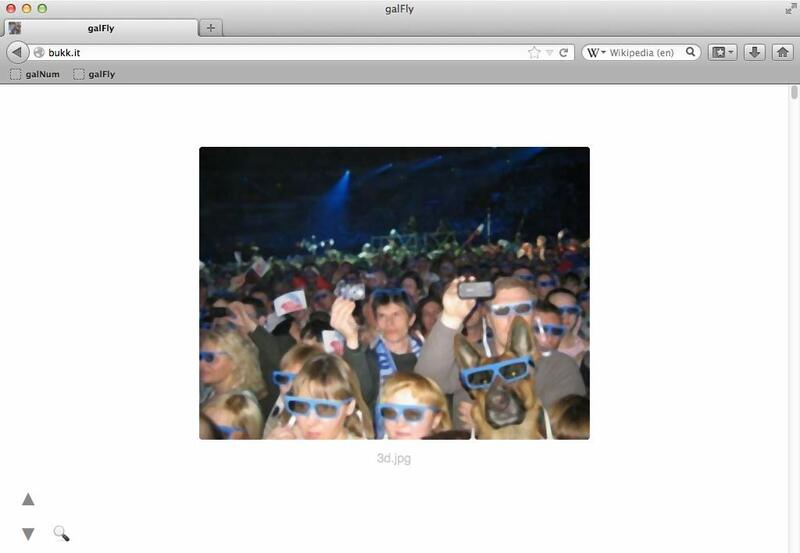 You can use galFly in any site that has links that point to images to get a gallery instantly. If you are interested in modifying the code in any way, there is a handy build script for that. Check the readme file for more info on that.